Figure 72. 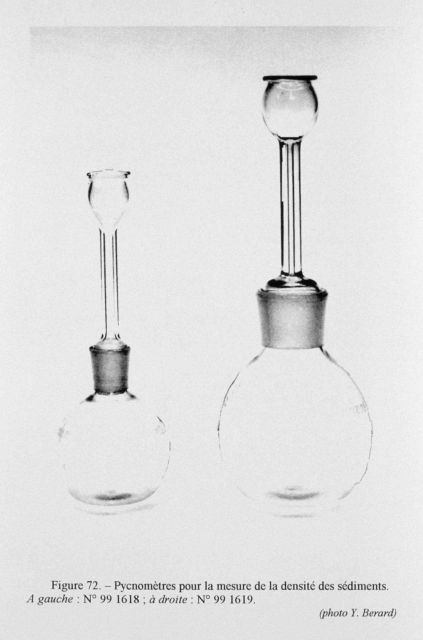 Pycnometers for the measurement of the density of sediments. According to Thoulet, the apparent density of a sediment is the weight per cm cubed of the dry sediment when compressed as much as possible. The true densit y is the relation of the weight of the sample relative to the weight of an equal volume of distilled water at 4C. Thoulet studied these sediment properties.